The Kroger Company, through their Zero Hunger/Zero Waste Initiative, collaborates with Dohn Community High School. This sponsorship arrangement benefits Dohn’s inner-city students, and their families. Both institutions serve Cincinnati well, and they now work together to produce positive outcomes on the quality of life in Cincinnati. 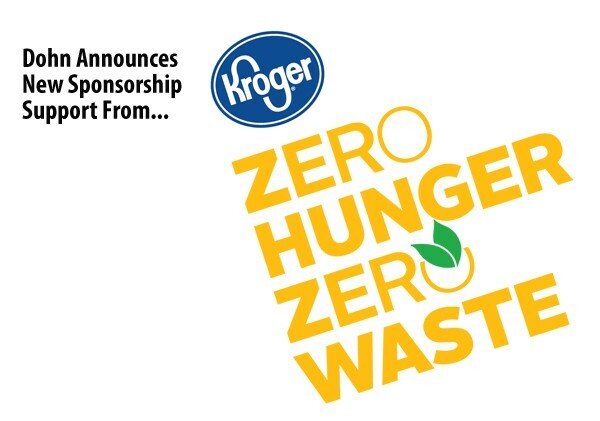 Dohn appreciates this collaboration with The Kroger Company’s Zero Hunger/Zero Waste Initiative. Stay tuned for pictures, celebrations, and new announcements as the relationship grows between Dohn Community High School and The Kroger Company’ game-changing Zero Hunger/Zero Waste Initiative.